In addition to being housed in national and international public and university libraries, Dr. Robinson-Easley’s books can also be purchased on Amazon, Barnes and Noble, and through various international book sites … just Google the title. This book argues that organizations, corporations, and governments have the abilities and resources to drive deep systemic change, yet fail to evoke change strategies that can significantly improve the social fabric of our global environment. 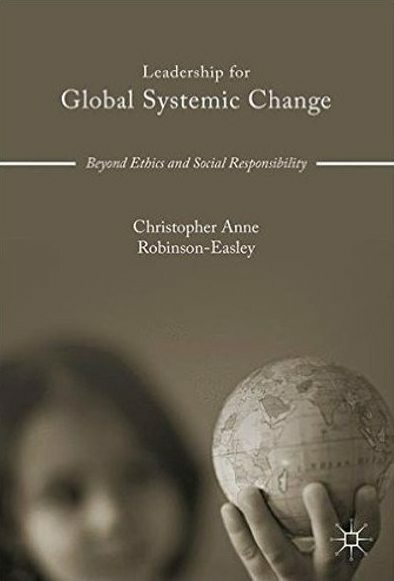 It actively engages the reader in a conversation that reviews, evaluates, and challenges these issues juxtaposed to current strategies and resulting positions regarding business ethics, social responsibility, our view towards humanity, and the role of leaders. Provocative in its voice and message, this book demonstrates how more robust contributions can lead to effective change. The author includes a detailed change model designed to invoke significant global change that builds upon the current work of the United Nations’ Global Compact, and incorporates the participation of all critical stakeholders including corporate leaders, civil society, government leaders, and the people who are challenged daily by ethical dilemmas and social responsibility initiatives. It speaks to academics and students of change management, social responsibility, and business ethics, as well as the organizations and communities who stand to make a positive difference in the world. Our global world still faces many issues of discrimination. The marginalization faced by people across many different realms of difference is causing significant strife in organizations, governments, and our education systems. Yet the literature and conversations on diversity, intercultural management and related topics on equality have not significantly changed in over twenty years. 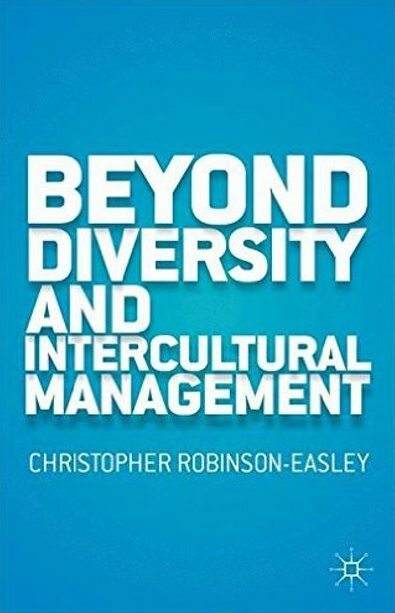 Beyond Diversity and Intercultural Management develops a change model designed to challenge prevailing paradigms. Dr. Christopher Anne Robinson-Easley, Ph.D., argues that while equal employment opportunity, diversity, and intercultural management are generally treated separately in the literature, these topics and related issues reside on one continuum and require the same core competencies and skills. 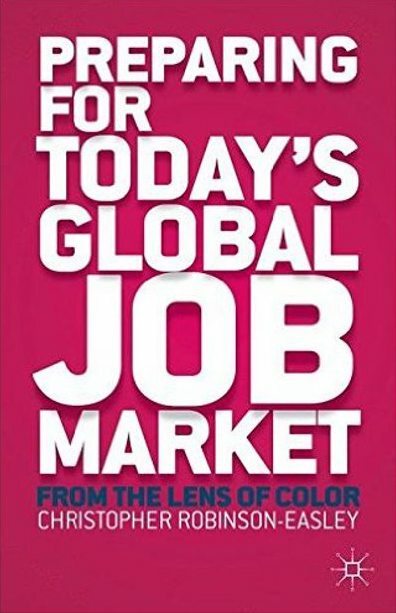 This follow up work to Robinson-Easley’s Preparing for Today’s Global Job Market demonstrates that it is time to move away from a ‘managing’ mindset and towards a “valuing humanity” mindset, while concomitantly privileging the personal lenses, cultures, and micro-cultures of people who make up today’s diverse global world. Worldwide, people are being forced out of their respective job markets. New college graduates are entering a global job market that has dramatically changed its rules of engagement, and entrepreneurs are challenged to develop new mindsets. Yet, in all situations there is either a total lack of or inconsistency in communications regarding the call for new competencies and skills that frame these new rules of employment engagement. Via a detailed interpersonal and intra-personal change model, Preparing for Today’s Global Job Market identifies and delineates a methodology for effectively positioning and/or repositioning oneself in today’s global job market that moves significantly beyond strategies associated with simply developing a resume, cover letter or business plan. Robinson-Easley also engages business executives, human resource professionals and training and development personnel in a conversation that suggests a different dialogue ensue between employers and their employees when organizations need to upgrade their workforce competencies and skills—a conversation that serves as a roadmap for better aligning organizational effectiveness and change to today’s requisite core competencies and skills. Our Children-Our Responsibilities walks the reader through the social, psychological and theological dynamics and rationale for a step-by-step whole systems change model designed to address issues plaguing the African American community and youth gravitating to gang environments. Drawing upon an expansive audience of scholars and practitioners to support its propositions, the book moves away from talking about the problems to conveying a well designed multi-disciplinary and detailed change strategy. 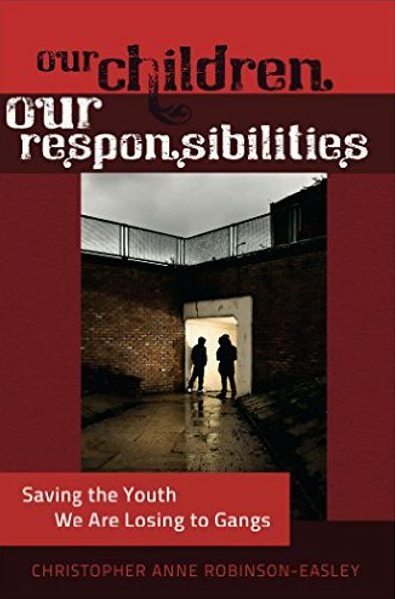 It challenges traditional beliefs, praxes and strategies that typically start with a focus on youth as the central point and boldly addresses the multitude of inter-related issues that plague the African American community. The model is expanded to a global context, which is a critical perspective since every continent has a gang problem and/or community-based issues that give rise to youth gravitating to gangs.